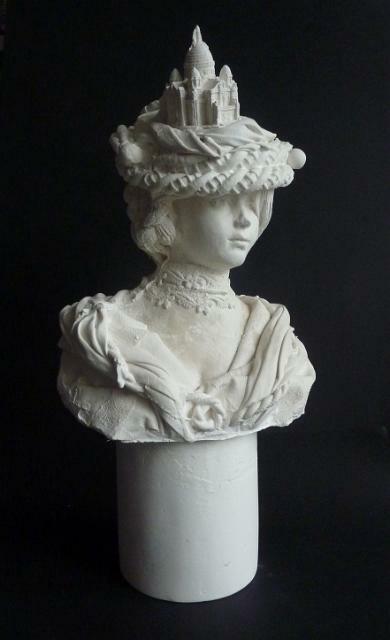 I've just finished a new plaster bust to add to my collection. 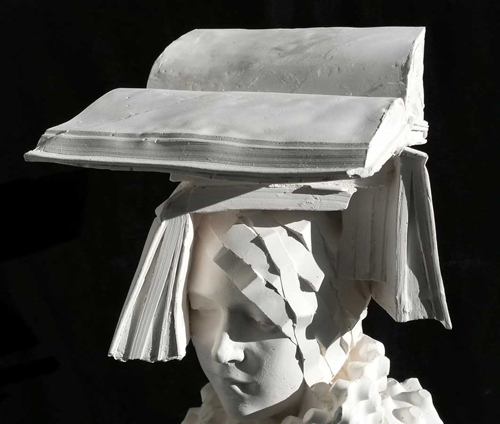 Introducing Madame Sacre Coeur - she has the iconic Paris landmark on her head! I picked up a model of the church in a tourist shop on a recent trip to the city and thought it would sit perfectly on someone's hat. Just out of the mould. There is still flashing around the edge where the plaste bleeds through the mould seams - I snap this off but still leave the mould lines showing, borrowing the language of industrial casting. Plaster jackets for the moulds. 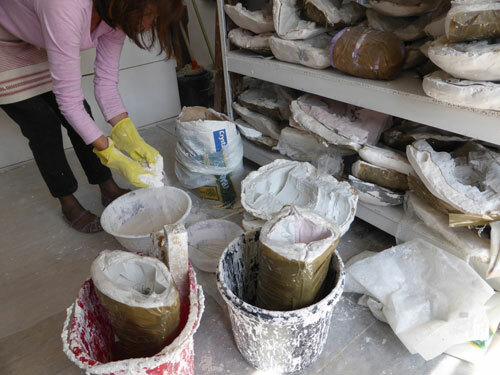 The original sculptures which I create to make the plaster casts from use all kind of materials and objects. The casts are always slightly rough looking - not at all perfect - and that's the look I'm aiming for. Madame Chateau. 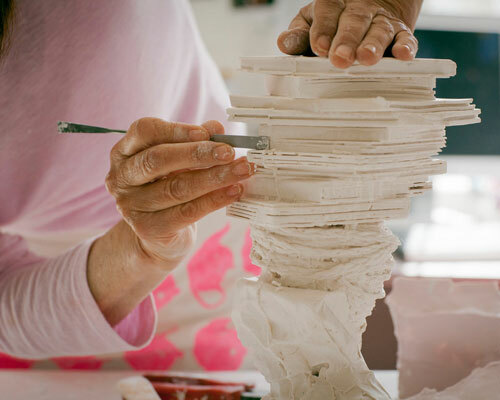 She has appeared in a previous post but below are shots of the casting process. FABULOUS! Love the detail and that tassel on the back of her head looks superb ;) and the relief on her dress. Sacre Coeur is my favourite Parisian building. She is wonderful! I love your work. I wish that I could see your work and your studio in person but this is the next best way of doing so. Thank-you so much. That certainly sounds a little gushing doesn't it! I really do love your work. Amazing, love that tassel on the back ;)and the relief work on her dress. Sacre Couere is my favourite Parisian landmark. Who wouldn't love to own one of these?